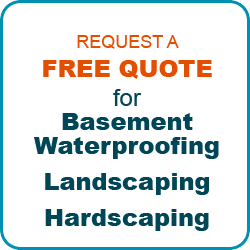 Looking for a waterproofing company near me? Be sure to shop local! I see a lot of signs around town that read, “1-800-wet-basem***….”. Personally, when I’ve found water in my basement I want to call a local company, someone who actually lives here and knows the community, cares for the people, and their homes. Someone who knows the lay of the land in the different cities and what parts of town are likely to have high water tables and which ones don’t. These 1-800… Companies are not likely from Minneapolis or St. Paul or even Minnesota. They chase storms from town to town anywhere in the U.S.A. They probably could not tell you where Edina, Apple Valley, Minnetonka, or any other of our local communities are located or anything about their people. Luckily there is a business right here in your neighborhood that that can help. 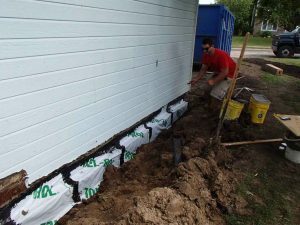 A waterproofing contractor who has helped thousands of homeowners just like you to keep their basements dry for the past 30 years. A company that knows the people here and cares for the community. 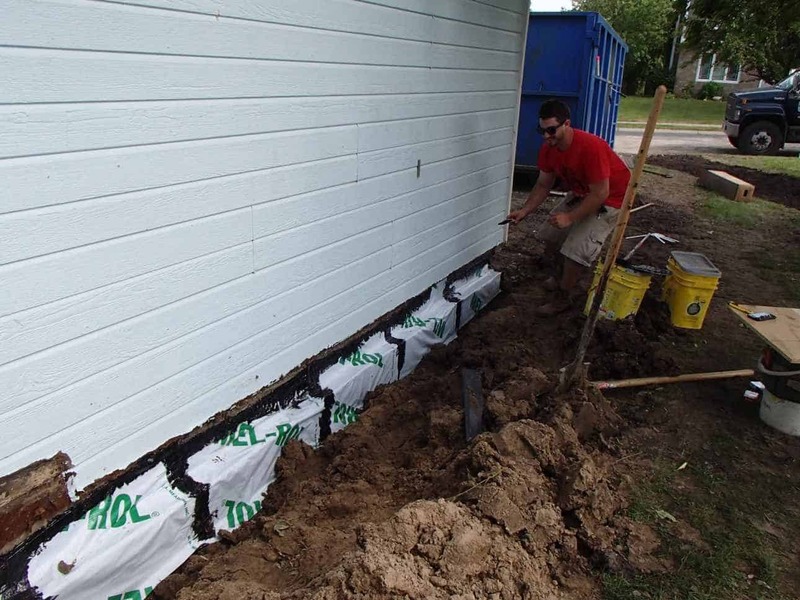 AAA Reick’s Waterproofing is a local, family-owned company. It’s owned by Tony Reick. He was born and raised here right in Minnesota and graduated from Jefferson high school, Normandale Community College and worked for the City of Bloomington Water Utilities Department until he started his company. A local family owned business since 1987. Minneapolis and St. Paul and their surrounding suburbs are the areas they service. 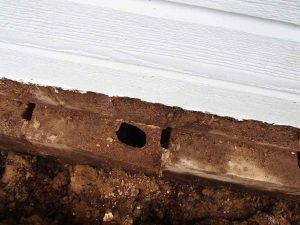 AAA Reick’s also differs from most of the waterproofing companies in they attack your problem from the OUTSIDE of your house, at the REAL cause of your water intrusion. This is usually much less intrusive because there is no need to tear up the basement floor and can cost a fraction of what some companies charge. 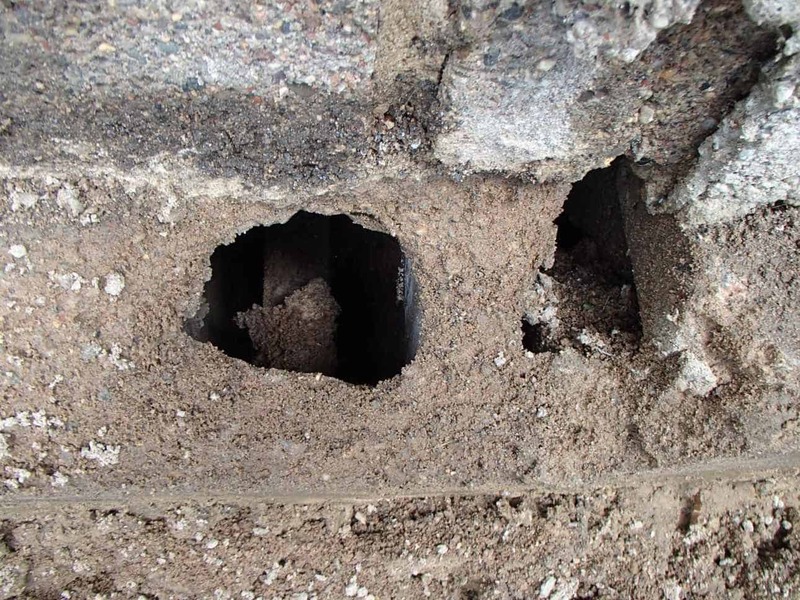 This problem would not be solved with an interior water control solution. 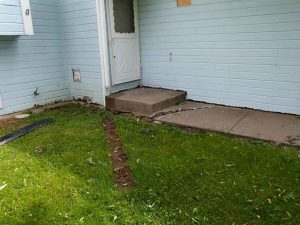 On a recent job, we did, the homeowner called us about a wet basement at the front of there home. We found out it was caused by a bad concrete walkway and step that had settled backward and cracked over time and a poorly graded front yard that trapped water close to the home. 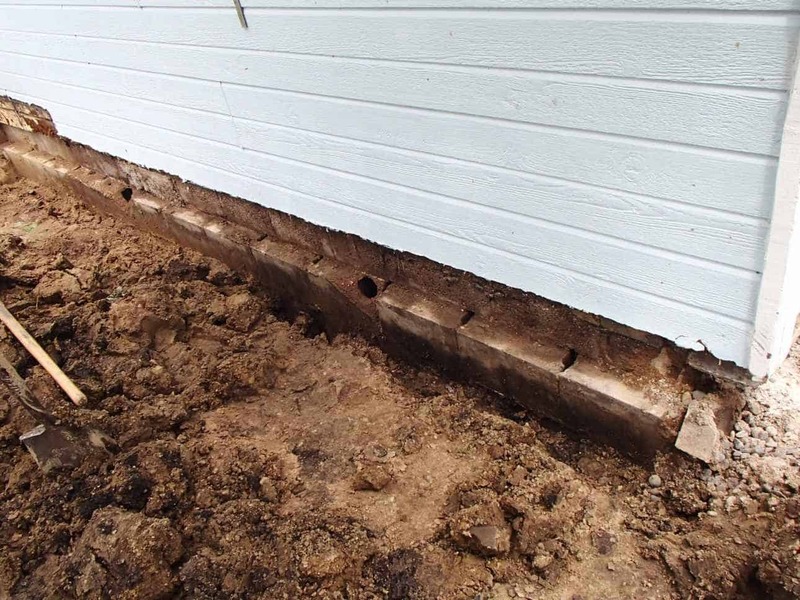 *We removed the problem concrete and did our excavation along the foundation to expose the holes in the block wall that was allowing the water to come in. *The problem holes were filled with mortar as the first line of defense and followed by a thick layer of sheet membrane. The sheet membrane will stay flexible and not allow the holes to open up over time. *The front yard was re-graded with a Bobcat, with soil was added along the foundation wall and compacted with a gas-powered plate compacter to prevent settling in the future. 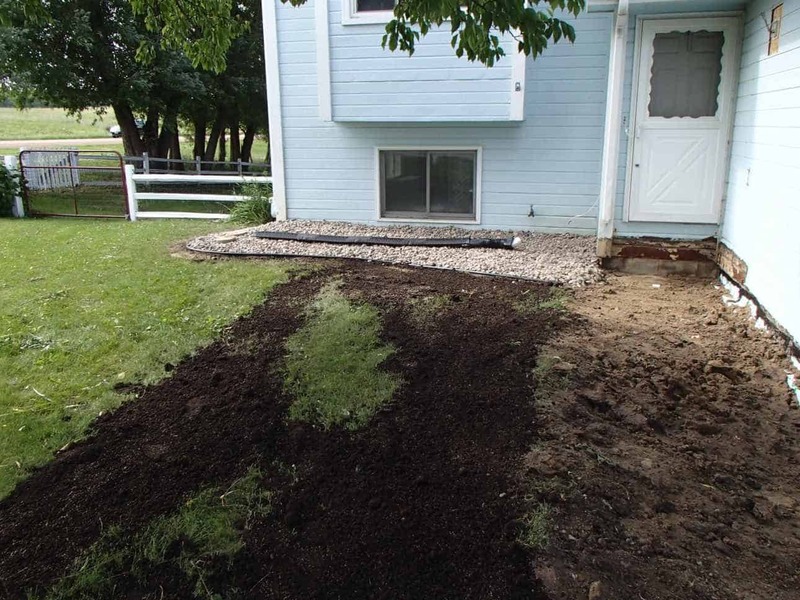 Do you and your family a favor and CALL Minneapolis’ #1 Landscaping and Waterproofing Company today. You could be water free in less than ONE WEEK!